Yet another big recruitment by Railway in this year. This time RPF Railway Protection Force issue notification for sub Inspector and Constable post for male and female candidates. Approximately 10 thousand vacancy in this recruitment. In this artical important dates, vacancies,education qualification, fee detail,online apply link etc. for RAILWAY RPF SUB INSPECTOR CONSTABLE RECRUITMENT 2018 notification. Last date online fee submission: 2 july 2018. Online apply link for sub Inspector: https://si.rpfonlinereg.org. 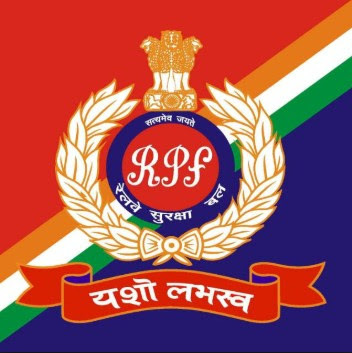 Vacancy detail about RPF notification 2018 for Sub-Inspector and Constable given below. Notes I: As per Govt of India instruction, the reservation for Ex-servicemen (ESM) shall be 10% of the combined vacancies of male and female of each group of zones. Note II: Since the reservation for ESM and Female are horizontal in nature, vacancies remaining unfilled for want of suitable ESM and Females during recruitment shall be filled up by the suitable Male candidate as per existing guidelines. CR= Central Railway, ER=Eastern Railway, ECoR=East Coast Railway, ECR=East Central Railway, NR=Northern Railway, NCR=North Central Railway, NER=North Eastern Railway, NFR=North East Frontier Railway, NWR=North Western Railway, SR=Southern Railway, SCR=South Central Railway, SER=South Eastern Railway, SECR=South East Central Railway, SWR=South Western Railway, WR=Western Railway, WCR=West Central Railway, UR=Un Reserved (General) SC=Scheduled Caste, ST=Scheduled Tribe, OBC=Other Backward Classess, ESM=Ex. Servicemen. All necessary eligibility conditions for RAILWAY RPF SUB INSPECTOR CONSTABLE RECRUITMENT 2018 . A candidate must be a citizen of India. A candidate in whose case a certificate of eligibility is necessary may be admitted to the examination but the offer of appointment may be given only after the necessary eligibility certificate has been issued to him by the Government of India. Note: Degree from a recognized University for Sub-Inspector (Executive) shall only be valid. 10th from a recognized University for constable only be valid. Those awaiting results of the final examination of the prescribed educational qualification SHOULD NOT apply. Note: If a candidate is eligible for relaxation of age on more than one ground, he/she would be accorded the highest of the age relaxations (not cumulative) for which he/she is eligible. No age relaxation is allowed to SC/ST/OBC-Non-creamy Layer (NCL) candidates applying against unreserved vacancies. 2 For candidates belonging to SC/ST/Ex-serviceman/Female/Minorities/Economically backward class. Note: In the event of cancellation of notified RAILWAY RPF SUB INSPECTOR CONSTABLE RECRUITMENT 2018 vacancies, the examination fee will not be refunded.